Female Players wishing to be considered for National Premier Leagues Women’s Squads are required to register their details on this system before attending trials as listed below. At this stage 4 sessions have been allocated to accommodate the identification of Under 13, 15 and 18 Players, please see dates below. Additional sessions may be held on Monday 22nd October and Wednesday 24th October if required. We understand there may be an overlap with our trial dates and QAS trials. Please indicate in the EOI if you intend on participating in the QAS trials and we will take this into consideration. Senior Women will commence from Monday 8th October. Please register your expression of interest so that we can keep you informed. Eastern Suburbs FC prides itself on its continual improvement, development opportunities and management strategies, enabling it to be a truly integrated football club. The Club currently has over 170 female players, accounting for 30% of the overall club membership. 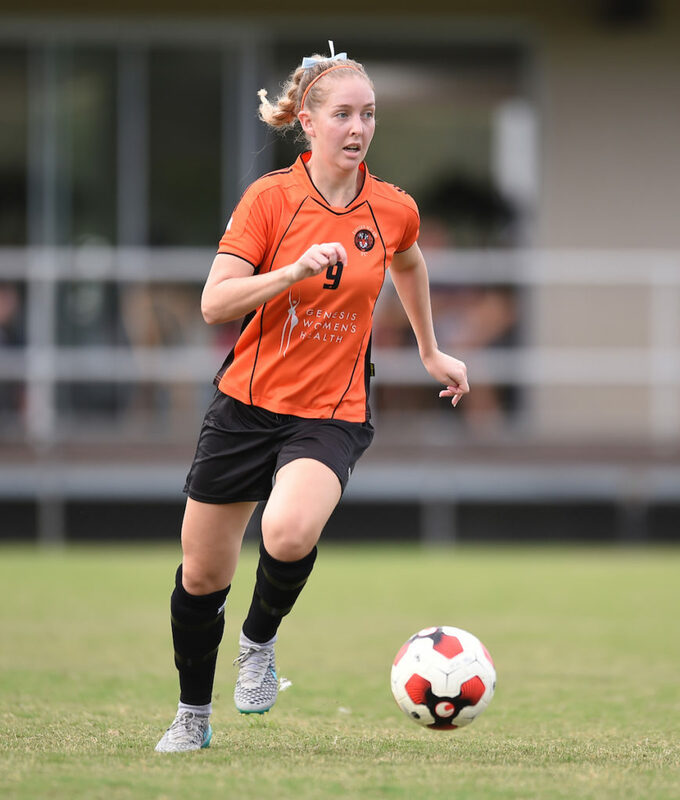 The National Premier Leagues Program Women’s (NPLW) is an integral component of East’s footballing culture, and provides many opportunities for aspiring young players as part of FFA’s Elite Player Pathway. The NPLW has enabled licenced clubs to establish much more organised and professional coaching structures and lifted the standards with respect to the expectations, technical ability and tactical awareness of the players within the system. 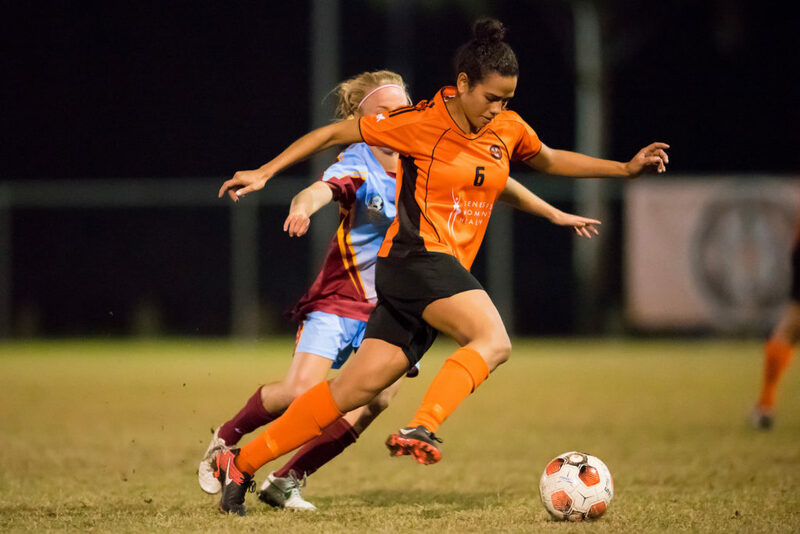 Several players over the past three seasons have advanced into Football Queensland (FQ) State Representative Programs and been identified into the FQ development squads with Roar’s NTC program. Supporting the NPLW is a ‘Feeder Program’ which concentrates on the development of individual ‘Skills’. SAP (Skill Acquisition Program) is another FFA initiative concentrating on players within Skill Acquisition age groups (9-13) and bases itself on the ‘4 Core skills’ (First Touch, 1 v 1’s, Striking the Ball & Running with the Ball). Whilst the NPLW and SAP are the elite pathway players, every effort is made with our Eastern Suburbs FC coaching network to provide as many additional opportunities for young female players just outside of the player pathway (players develop at different rates). In conjunction with SAP we also run a Skills Development Program to accommodate late bloomers and enable them to learn more about the game in a fun, game centred environment.